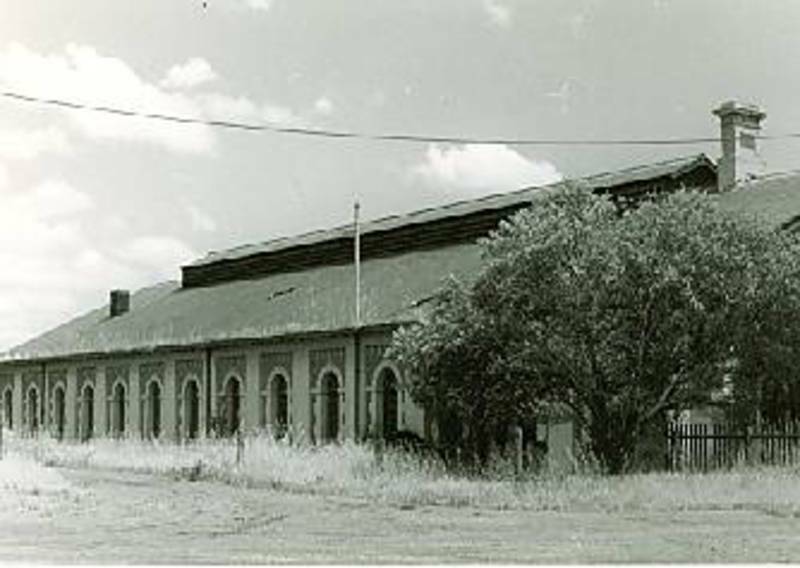 A 3-track engine shed of 1864 at the terminus of the first railway to serve the Murray River; wide spreading slate roof with bracketted barges and eaves, rendered pilasters with brick infilling. The repetition of rendered arched windows articulate the long side elevations giving an interesting character to an otherwise utilitarian building. See also B5323 Melbourne to Echuca Railway Line.